One of the best things about the holidays is Christmas cookies. There are so many different kinds, and we've seen some of the very best at Treasure Box Tuesday! We hope you enjoy this delicious collection. 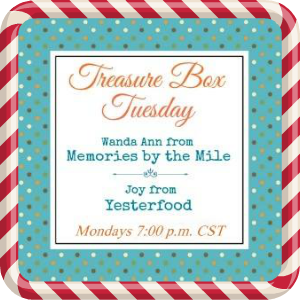 Merry Christmas and love from Joy, Wanda Ann, and Treasure Box Tuesday! Perfect roundup! We've made cookies for so many other people, but don't have our Christmas cookies made yet to enjoy! Thanks for the inspiration. Wow, great cookie roundup Joy! Thank you so much for including my White Chocolate Dipped Cranberry Cookies, I really appreciate you! Hope you and your family have a very Merry Christmas! YUM! YUM! All of these cookies look really great. I am going to bake cookies this week with my kids. Thank you so much for including my Stuffed Soft Gingerbread. Blessings and have a truly wonderful Christmas!! I am pretty sure I gained 5 pounds just looking at all of these yummies! Merry Christmas! Thank you so much for featuring my Kourabiedes! I wish to all of you Happy Christmas and holidays with lots of love and good food! Thanks for the feature. They all look so great! This is an awesome collection of cookies. I am so busy pinning I probably won't have time to bake! Thanks for the feature, Joy. Merry Christmas! Thank you so much for including my cookies! Merry Christmas! Love all the amazing recipes! Yummo! 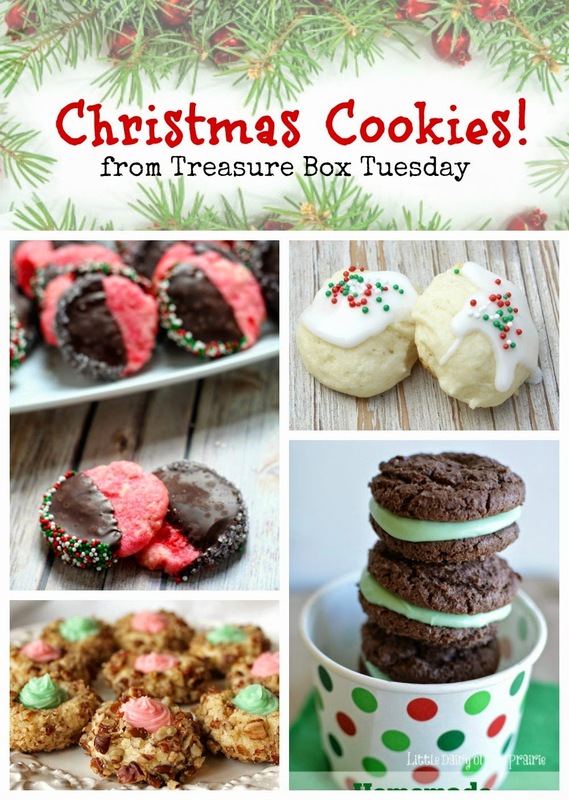 What a fun way to showcase all of these delicious cookie recipes. I'm so appreciative that you shared my Cranberry Citrus Icebox shortbreads in your collection-thank you! Best wishes and Merry Christmas from Down Under! Oh my goodness! Where to start? All of these cookies are calling my name! Thanks for including my Homeade Mint Oreos and my Mint Chip Sugar Cookies! Thanks so much for including my chocolate peanut butter sandwich cookies in this delicious round up! So many great treats. Thank you for hosting such a great link party every week! I hope you and your loved ones have a wonderful holiday season! Joy, What a wonderful collection of Christmas Cookies! Thank you for including my Christmas tree cookies and thanks too for hosting the link party every week. Have a wonderful Christmas! Hi Joy! Thank you so much for including my little peanut butter crispy squares in your lineup! I am honored. Wishing you a very Blessed Christmas with family, friends & hopefully great peace.